Some of you might have noticed that I mostly retired from writing about restaurants, not that it was a large part of this blog anyway. There are many food blogs out there, ranging from awesome to annoying (no links here), and even more reviews posted on a variety of special sites, so I have no interest in being just another one. However, sometimes I find something new, exciting and not beaten to death by everyone with a smartphone and a greasy finger, something that I feel needs to be shared. A while ago I wrote about my favorite hot dog dealer vendor Clay’s Curbside Grill and today’s post is about the Indios Carbonsitos – a Mexican food truck roaming the neighborhoods in Kansas City, KS and the only one I know of (could be wrong) to be registered on the Kansas side. I first learned about Indios from a comment on one of the Fat City posts and tracked down their twitter and facebook pages. From there on, it was a just a matter of time before I got my hands on and in one of their tortas ahogadas. 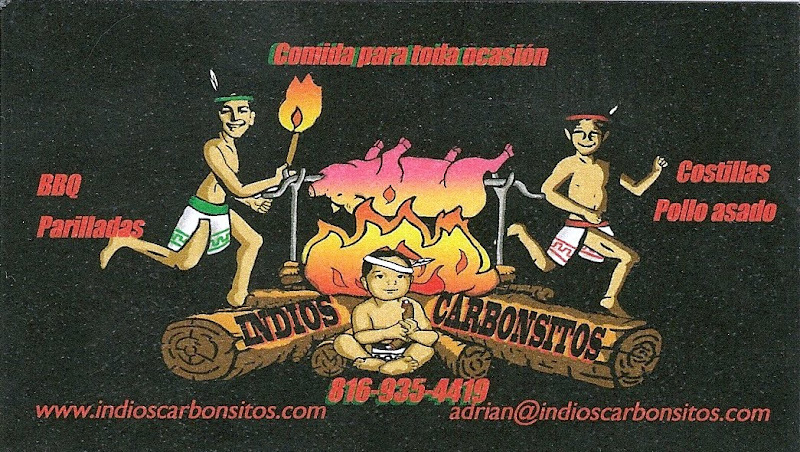 Indios Carbonsitos is named after the childhood nickname of its owner Adrian and a Spanish word for charcoal. There is some Spanish wordplay involved here as well, but I will leave it up to you to figure it out. Adrian grew up in the States but after going back to Mexico had his mind set on perfecting and bringing regional street food back to the streets of KCK. Not only he serves a constantly rotating menu of authentic Mexican favorites, but also a surprising variety of the traditional American smoked meats such as brisket, wings and chicken with his own mix of Mexican flavors. The menu is short and once Adrian was done describing the torta ahogada I knew I had to have it. If you clicked on the Wikipedia link above you would’ve noticed that the sandwich from Indios Carbonsitos looks exactly like the photo attached to the article. Bread, beans, braised pork, onion rings and, most importantly, the spicy sauce – everything comes together to make one messy delicious meal. Crusty dense bread soaked with the sauce still managed to hold somewhat of a shape while I was busy eating it with my bare hands. I didn’t risk bringing this thing into my car and ate the sandwich right in front of the truck while talking to Adrian with my mouth full. Right now the truck is more of a weekend and evening hobby for Adrian, who has a full-time job at a non-profit. His friends (and now me) are encouraging him to quit his job and dedicate all of his time to serving his awesome food, but as many of us who have this dream know, taking this step is scary, especially for people with small children. 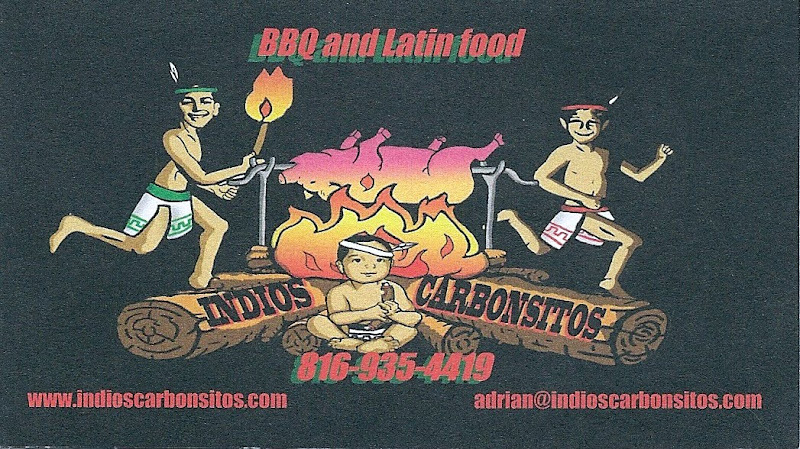 And that’s the coolest part of Indios Carbonsitos – Adrian’s family is all there with him. During my visit two of his older kids where helping out inside and then his wife stopped by with some supplies. One of the kids took off his hoodie so I could see the shirt with the business logo. All of the kids are on the logo, with the little one added to the picture not very long ago. Until Adrian and his family decide to make it their full-time business, you have to be on alert for their twitter and facebook announcements, they don’t give much notice and sellout quickly. On the other hand, they routinely ask for requests and you can make larger orders ahead of time. While many of us are running our little imaginary restaurants, he is living the dream. P.S. Some older photos from inside the truck can be found here. P.P.S. Another food truck is on the way: my friend Venus is currently looking for backers on her Kickstarter page.